Friends! 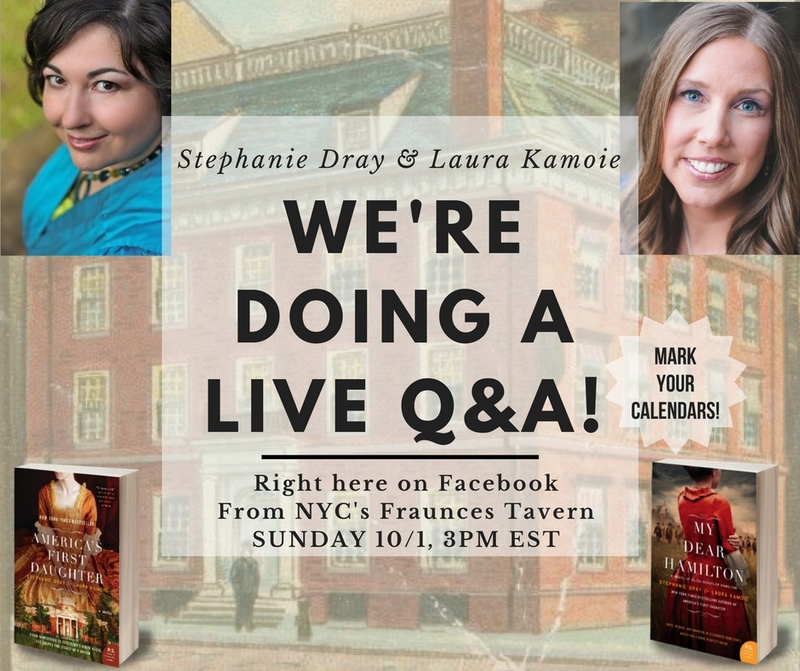 We’re heading to New York City this Sunday and going to be chatting to you LIVE on Facebook from historic Fraunce’s Tavern, a setting in My Dear Hamilton! You can either watch live and interact with us, or see it posted on our Facebook pages afterward! So mark your calendars and hop over to Facebook this Sunday at 3PM EST to join in the fun and ask us questions about…anything! Hope to see you there! Thanks for reading! ← Join Our Historical Birthday Party!